AV176U 30ppm Color Duplex 8.5x14"
The Avision AV176U is designed for desktop use in any office where scanning plastic ID cards, business cards, documents or other heavy card stock is necessary. Despite its small size, the AV176U offers high-speed scanning at rates up to 30 ppm in simplex and 60 ipm in duplex mode. The Avision AV176U boasts a unique and stylish design as both the input and output paper tray can be folded when not in use. The paper tray also helps to protect the unit from dust. Unlike bulky conventional scanners, the slim AV176U can be easily carried and fit on a desk without taking up a lot of space. imageFORMULA DR-C225 25ppm Color Duplex 8.5x118"
The DR-C225 scanner is ideal for general purpose distributed scanning of a variety of document types. 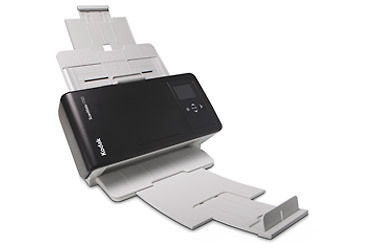 In corporate or remote offices, this scanner is well-suited for use by individuals or small workgroups to modernize paper-based processes, helping to increase efficiency and productivity. Legal, financial, and healthcare industries, and the government sector can benefit from its small size and ease of use. When combined with the bundled software, the DR-C225 scanner can be used for converting documents into editable electronic files; scanning business cards and organizing contacts; file archiving, retrieval, and sharing; PDF creation; and much more. imageFORMULA DR-C225W 25ppm Color Duplex 8.5x118"
With its small size and flexibility, the DR-C225W scanner is ideal for various industries such as legal, healthcare, financial, and real estate. The built-in wireless capability allows for scanning across various devices and can be used by individuals or shared by small workgroups to modernize paper-based processes and help increase efficiency and productivity. When combined with the bundled software, the DR-C225W scanner can be used for converting documents into editable electronic files; scanning business cards and organizing contacts; file archiving, retrieval, and sharing; searchable PDF creation; and much more. imageFORMULA DR-M160II 60ppm Color Duplex 8.5x118"
Well suited for workgroups and departments in any industry, the DR-M160II scanner provides the basis for efficient records management and helps reduce paperwork. It delivers capture capabilities that make it an ideal addition, especially in the legal, financial, healthcare, and government sectors. The strength of the DR-M160II scanner is seen in its throughput, capacity, and overall performance. Scanning up to 60 pages per minute* - both sides in a single pass - and holding up to 60 sheets in the ADF, it quickly captures and converts paperbased documents into usable, digital information. 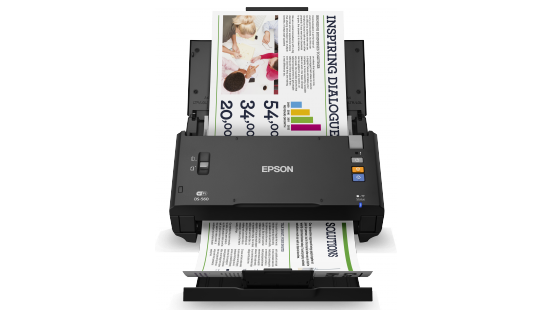 ScanMate i1150 30ppm Color Duplex 8.5x78"
Designed for the way you work today.